PUBLIC HAS PRICED THIS PROPERTY AT $895,000! Welcome to the Estates in the Isles at Wellington. 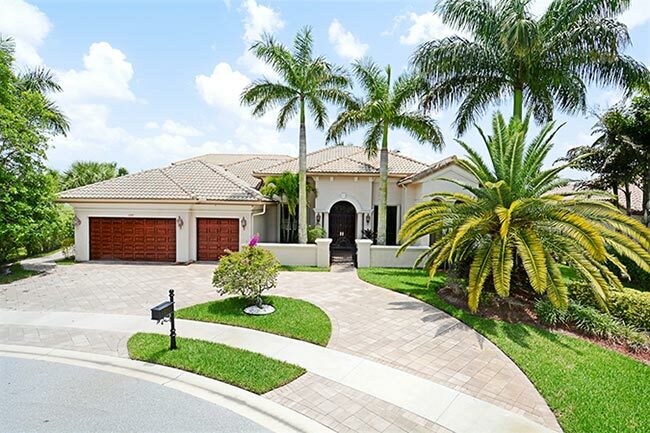 This beautiful custom home is located in the heart of Wellington Florida. The community is directly across the world renowned International Polo Grounds. The 24-hour manned gated community, also features a two story waterfall along with beautiful lush landscaping. The Isles at Wellington is an intimate enclave of estate homes. The oversized home-sites offer tranquil water views. The Estates is further enhanced by the resort-style Island Club with recreational amenities that include Har-Tru tennis courts, swimming pool, fitness center, basketball courts, a multi-purpose sports field and children’s play area. Resident children are zoned for nearby A-rated public schools. Situated on an expansive lake view, this gorgeous 2-story estate home has over 6,800 square feet, with 5 bedrooms, 5 full bathrooms and 2 half bathrooms. The detailed estate includes numerous upgrades, including a gourmet kitchen with top of the line appliances, volume ceilings, crown and decorative molding, custom built-ins, and a state-of-the-art media room located in the upstairs addition. You can feel the elegance and serenity when you are both inside and outside the home. Made for entertaining or just relaxing, the home offers a spacious side and back patio with a luxurious pool and spa with waterfall. From the moment you walk in, the high ceilings give you a feeling of tremendous space and light. The spacious and open gourmet kitchen is the perfect place to prepare family dinners. The large master bedroom offers custom his and her closets and a master bath with marble, separate spa tub and shower. Wellington Florida, selected America’s Top 10 small towns, by Money Magazine! This property will be sold and marketed in conjunction with: Fred DeFalco (DeFalco Real Estate Group) an Authorized Agent of the Public Pricing® sales system.